So today (or tomorrow, depending on which sources you read), in 1758, the British captured Fort Duquesne away from the French, during the French and Indian Wars. The French had burned the fort to the ground, and then took off. The British rebuilt and renamed it Fort Pitt for their then-prime minister William Pitt (the Elder), the guy who ordered them to take the outpost. There's probably a ton more to the story (actually, I dimly remember something about heads on stakes and stuff), but you should actually visit Pittsburgh to learn it. 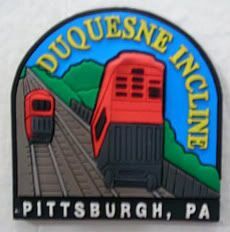 But, when you go, definitely take a ride up and the Duquesne Incline - the views of the town and the surrounding area, the stadiums and the confluence are certainly well worth it! Sorry to be so short and sweet and factual, but I just killed my work Mac today, and I'm on my old Dell right now. Boo feels awesome and compact, compared to my Boo Silver, who at 17" was a giant among her kind. My problem is that my left pinky is so very confused and keeps searching for that damn open Apple key, so it's best I stop now, before I start my own Mac vs. PC commercial, with pinky in the starring role. Hahaha, that pun was sick! Awww, the incline! It has to be the best place to take visitors for a scenic view of Pittsburgh. And, like any good spot in Pittsburgh, absolutely impossible to find on the first try. There's so many twisty roads, odd turns, hidden streets, and cosmic wormholes in the streets of Pittsburgh! I lived there three years, and I never knew exactly how to get to the incline. You kinda just recognized turns and landmarks on the way. Yep. We were SO lost, and it was anight. 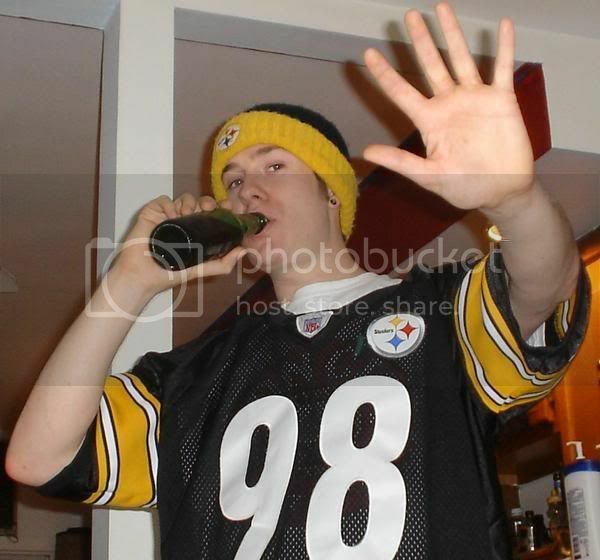 And, I should have written about how we were storming through those crazy small roads at breakneck pace in a giant Steelermobile, lost as lost could be, just looking for a liquor shop, to get provisions for the game the next day. Oh, and how funny my BFF's hub looked valet parking the giant yellow blazer, at whatever restaurant that was up top. Always. Only Us. Part 2: And the not so Good. Always. Only Us. Part 1: The Good.